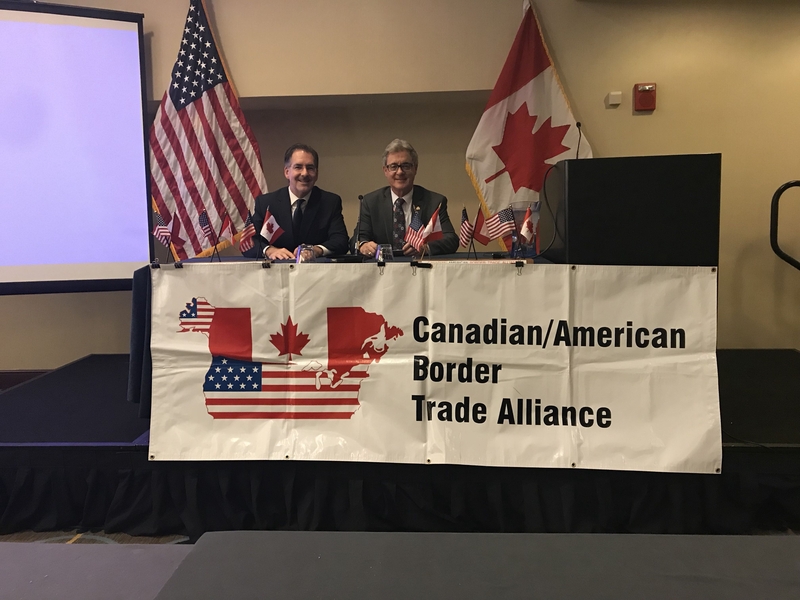 Brian Presenting at the Canadian/American Border Trade Alliance In Washington D.C.
WASHINGTON – Brian Masse M.P. (Windsor West) is in Washington D.C. Monday, Tuesday meeting with Canadian and U.S. legislators as a member of the Canada-United States Border Trade Alliance (CanAmBTA). The organization works to address bi-lateral trade issues by bringing together stakeholders from the public and private sector as well as elected officials to identify opportunities improve trade on an operational level. Masse has been involved with the CanAMBTA for many years: “This organization does crucial work identifying border problems giving legislators information to assist in the development of policy solutions that will improve border efficiency in both the near and long-term.” Masse stated. Masse will be presenting to the group today on Canada-US relations and the bi-lateral initiatives the Canada-US Inter-Parliamentary Group is working on improving. The meetings continue through until Tuesday.